With any EcoSmart product, rest assured knowing you are getting a top of the line, eco-friendly water heater that will not only provide continuous convenience, but also help save both money and energy for years to come. With so many advances in heating technology in the recent years, EcoSmart has become the leader in water heating technology. EcoSmart's ECO 27 Series tankless water heaters are configured for climates where incoming water temperatures can reach as low as 37 degrees. Capable of heating nearly 3 GPM at this temperature, the ECO 27 is the largest electric tankless water heater available with Self Modulating Technology. Suited for colder locations such as the northern U.S. and Canada that require more demanding water usage needs. Save up to 60% on your water heating cost with an EcoSmart electric tankless water heater. Provides continuous hot water for ultimate convenience. Patented Self Modulating technology and design. 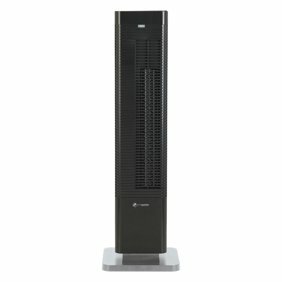 Designed with standard and reliable easy to service elements and heat exchangers that provide 99.8% energy efficiency. Digital temperature control for accurate temperature settings. I did extensive research about tankless water heaters and EcoSmart had the best reviews and a lifetime warranty so I had the EcoSmart 27 installed last month. A few places had it for a couple dollars less yet they all charge shipping fees that make Walmart's price unbeatable! We feel more relaxed to know the big tank of hot water is no longer in the house yet it is only a month that we have the EcoSmart installed so it's too soon to know all the benefits and any downfalls. So far it's everything we expected and we're very pleased with the choice. It took a professional a few hours to install the unit with mo problem what so ever. There's a large dial that makes it very easy to adjust the water temperature, hot water reaches the faucets in about half the time it used to take and we have yet to run out. The unit looks just as it does in this picture and is the size described so it's small enough to fit in a closet yet the design is attractive so it looks fine on a wall that is visible. The EcoSmart was only in use two weeks when the electric meter was read so it is too soon to calculate any savings it might have on the electric bill. The bill was lower than it was the same time last year and this year we had the central air conditioner running constantly so there is no major increase. The lifetime warranty requires the unit be installed by a professional and it uses three 30 amp double breakers to run. ( It is NOT recommended yet many reviews were written by people who chose to void the warranty and install the EcoSmart themselves because it's easy to install and parts are inexpensive and also easy to install.) If your electric service has enough available breakers then the installation costs would be about the same as a tanked water heater. If your electric service needs to be upgraded then it will be a more costly investment yet you will not have replacement expenses that most water heater tanks have every few years. Water heater tanks never lasted us long enough to be out of warranty and though the cost of the heater was prorated, the cost of installation steadily increased. The main reason we opted to switch to the EcoSmart tankless water heater was the extensive and expensive water damage caused by leaky water heaters tanks. The EcoSmart tankless water heater is on the wall in clear view so if there is ever a leak it should be easily seen and heard before it can cause any real damage. The water shut off is right under the unit. We are looking forward to many years of hot water when we need it, lower electric bills because we no longer heat water we don't need and no more costly repairs of water damage caused by a leaky or burst water heater tank. No problems and all the hot water needed for three weeks. This product works great easy hookups. Takes no space at all I love this waterheater. I have one of these installed in a addition (Man Cave) I researched these quite a bit before the purchase and saw alot of really good reviews. I can't give it very high marks if you want something that provides really hot water. It will heat good enough for showers but if you like real hot water in the kitchen sink....this don't seem to do it at a low flow like that. 105 degrees is about what your gonna get. It is mechanically & electrically capable of supplying much hotter water than that but....because it's Eco Friendly I guess it's calibrated to not allow all the heating elements to come on at that flow. I would suggest getting a smaller one if you would only be using around 2 GPM of water at a time. I like how easy it is to install and work on. It's winter right now in Texas (not all that cold) maybe it will work better in the summer when inlet water is warmer. We shall see. What is the difference between ECO24 and ECO27? what size of pool would this work for?